U.S. 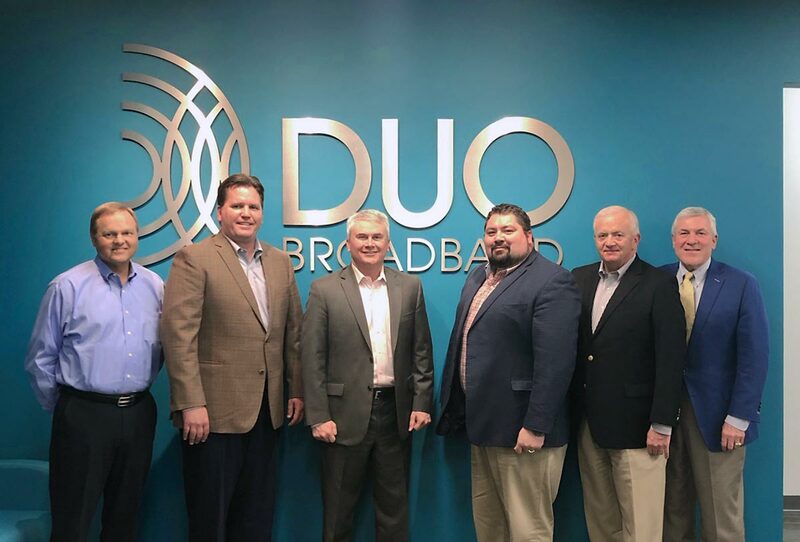 Congressman Comer and representatives of DUO Broadband and the Kentucky Telecom Association met to discuss the importance of better broadband Internet service for rural Kentucky. Standing, from left, are Mark Henry, DUO Broadband Vice President Operations; Tom Preston, DUO Broadband CEO; U.S. 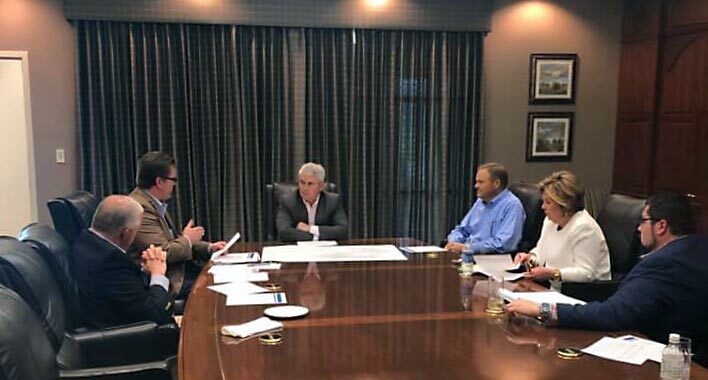 Congressman James Comer, R-Kentucky, 1st District; Tyler Campbell, KTA Executive Director;Daryl Hammond, DUO Broadband Vice President/CFO; and Howard Kent Cooper, DUO Broadband Legal Counsel. Also meeting with the group was Sandy Simpson, Field Representative for Congressman Comer. April 11, 2019 JAMESTOWN, KY — U.S. Congressman James Comer, R-Kentucky, 1st District, met with representatives of DUO Broadband and the Kentucky Telecom Association (KTA) on Thursday to review progress in deploying fiber optic broadband to rural communities, plans for 5G mobile implementation, and other issues related to Kentucky’s telecommunications infrastructure. Universal service is the principle that all Americans should have access to affordable communications services. Universal service is also the name of a fund and the category of Federal Communications Commission (FCC) programs and policies to implement this principle. Universal service is a cornerstone of the law that established the FCC, the Communications Act of 1934. Since that time, universal service policies have helped make telephone service ubiquitous, even in rural areas like Russell, Adair and Cumberland counties. Today, the FCC recognizes high-speed Internet as the 21st Century’s essential communications technology, and is working to make broadband as universal as telephone. Part of the discussion revolved around federal regulations about how the national broadband map is developed. "Right now it's based on Census block data. We're looking for it to be more granular," Campbell said. "If the information is more accurate then DUO Broadband stands a better chance of continuing its progressive approach to fiber deployment and remaining aggressive in building out fiber to even more of the region." As 5G technology begins to play a bigger role in how telecommunications are delivered, having a strong fiber optic backbone will become even more important. "Congressman Comer has a strong interest in looking out for Kentucky farmers. He recognizes the importance of 5G technology and the role it can play for the growth of smart agriculture in Kentucky," said Campbell. "5G is revolutionary, but this revolutionary technology still requires building a fiber optic connectivity to cell sites and small cells that support 5G," Preston said. We understand the importance of keeping your accounts and personal information safe and helping you protect yourself from fraud. We want to share with you the CFCA's Instructional Videos on how you can protect yourself from social engineering, which includes phishing and other types of scams, and improve general account security. We created the MyDuo app many years ago in an effort to make information about our services more accessible to mobile users. With our most recent website design, you now have easy access to everything previously contained in the app, including your DUO Broadband account, live chat support, our latest special offers and much more. You can bookmark our website to appear as a mobile app on your smartphone. For Android phones, with our website open in Google Chrome, tap the menu button and tap “Add to homescreen.” For Safari on iPhone, tap the Share button on the browser’s toolbar, then tap “Add to Home Screen” icon in the Share menu. If you currently have the MyDuo app, you can continue to use it; however, it will no longer be available to download and will not be updated. 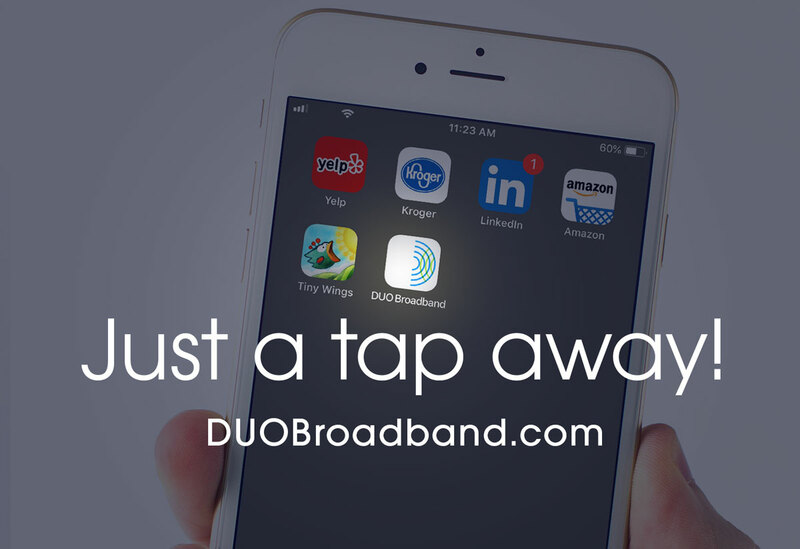 We encourage you to visit and bookmark DUOBroadband.com on your smartphone. In an announcement this week, Duo County Telecom unveiled their new name and logo: DUO Broadband. Nothing else is changing for the utility and the same local people will be providing the same reliable communication and entertainment services they have offered for over half a century. The updated name and logo will be deployed over the next few months, beginning with the website which can now be accessed at DuoBroadband.com as well as DuoCounty.com. Current customer’s email addresses will not be affected. The logo puts emphasis on the DUO part of the name: technology and service, as well as keeping a historic reference to the company’s past. The graphic arcs in the “D” were derived from ripples on the surface of water—symbolic of the way Broadband data disseminates and intersects. There is also a subtle representation of the earth in the “D” paying respect to the past logos which all visualized the globe. The folks here at Duo County Telecom recently celebrated the holidays with our annual Christmas party, and CEO Tom Preston addressed the staff about the past year of providing outstanding services with exceptional customer service. We're grateful to the staff and spouses for their dedication to both the company and customers throughout the year. We look forward to some exciting changes in 2019. Many thanks to the crew at The Barn at Goose Creek for providing a wonderful setting was for the event! Holiday Specials at Duo County! ALL NEW CUSTOMERS GET FIRST MONTH FREE AND FREE INSTALLATION! 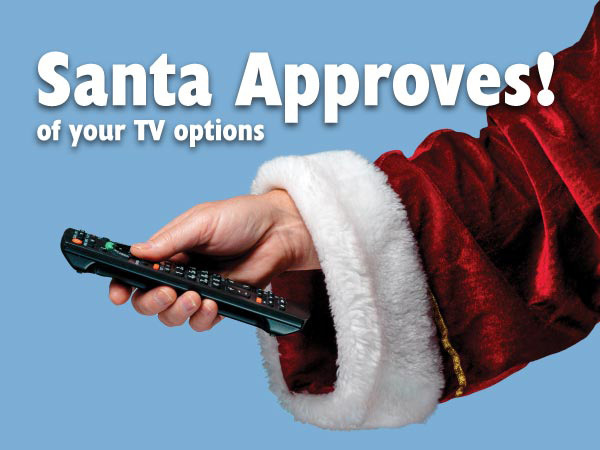 Call or stop by today to switch or upgrade! 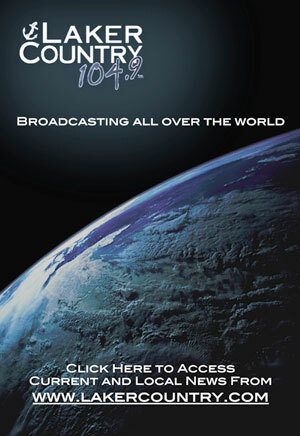 *Does not include any other premium, pay-per-view or video on demand. Requires a 24 month agreement. **Requires six months of keeping the package. 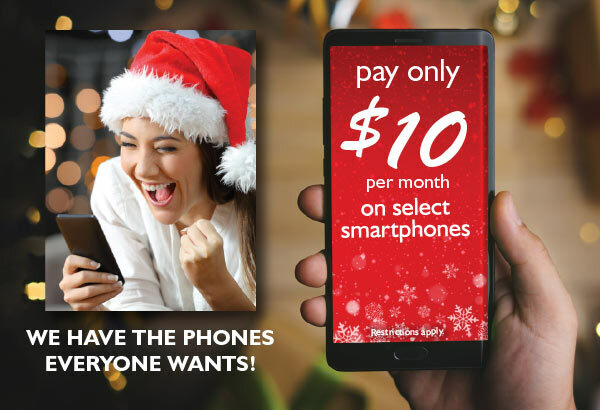 You’ll find great deals on all the latest smartphones, tablets, and accessories at Duo County Telecom! 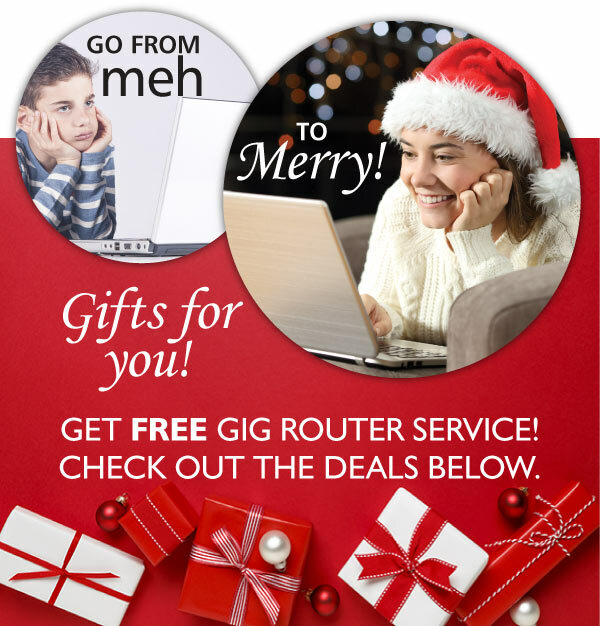 Duo County Telecom is an authorized retailer for Bluegrass Cellular.